Studying about space can be so fascinating and enthralling. Once you are done with your studies you can try answering the relevant questions enlisted. If you succeed answering correctly, be sure to term yourself as a champion of the subject. Once you stand out as a champion, make sure to refer this page to a friend of yours in a form of open challenge! How many planets are there in our Solar Sytem? What is the biggest planet, Jupiter or Earth? Which planet is so light that it could float in water? Which of the planets is known for having the stormiest climate with wind gusts of more than 1000 mph? How far is the Moon from Earth? 382,500 miles or 38,000 miles? Does Mercury have any moons? Which planet has clouds that contain deadly sulfuric acid, Saturn or Venus? What 2 planets are known as Ice Giants? How many planets are there in our Solar Sytem? Eight (remember, Pluto is now thought of as a "dwarf planet"). What is the biggest planet? Jupiter, which is 1400 times the volume of Earth! Which planet is so light that it could float in water? Saturn, which is a very light gas planet. 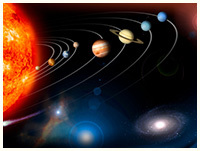 Which of the planets is known for having the stormiest climate with wind gusts of more than 1000 mph? Neptune. 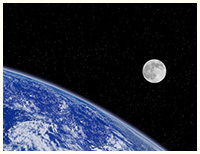 How far is the Moon from Earth? 382,500 miles. Does Mercury have any moons? No. Nor does Venus, but all other planets have between 1 and 18 moons! Which planet has clouds that contain deadly sulfuric acid? Venus. Have humans walked on Mars? No, but we've landed spacecrafts on Mars since 1975. How old is the Earth? 4.5 to 4.6 Billions years old. What 2 planets are known as Ice Giants? Uranus and Neptune.